I recently purchased a steamer trunk and was wondering if anyone might be able to give me any information about it? 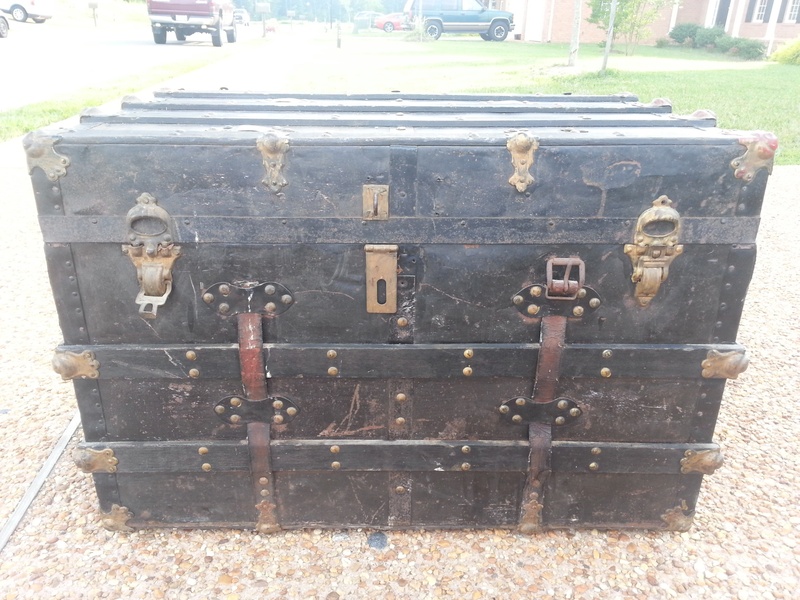 I will get the dimensions for this trunk soon and post also. Most of these date from the late 19th Century through world war one, there were hundreds of companies making them, only a couple produced trunks that sell for big money today. Most like this one go at auction for what you paid, in the 40-80 range.